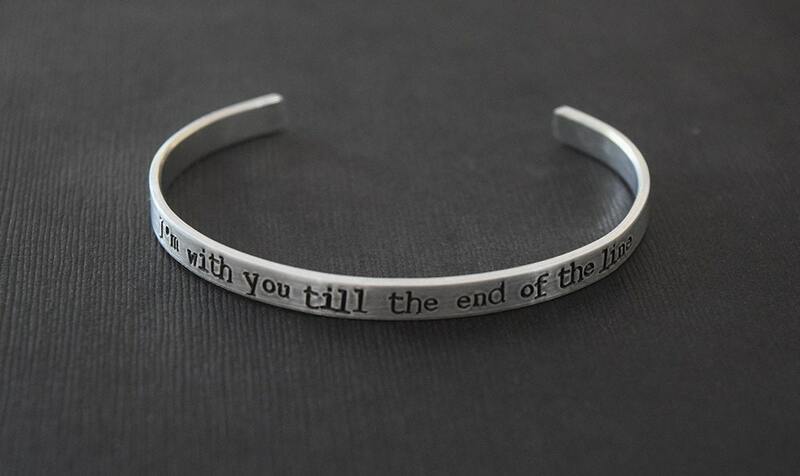 "I'm with you till the end of the line." This line pretty much sums up the relationship between lifelong friends Steve Rogers and James Buchanan Barnes - aka Bucky Barnes aka The Winter Soldier. They are true friends, and this friendship is strong enough to pierce through Bucky/The Winter Solder's brainwashing in the end. This cuff is a great gift for yourself and/or a friend - anyone who is a fan of the comics or the Captain America Marvel Cinematic Universe trilogy. 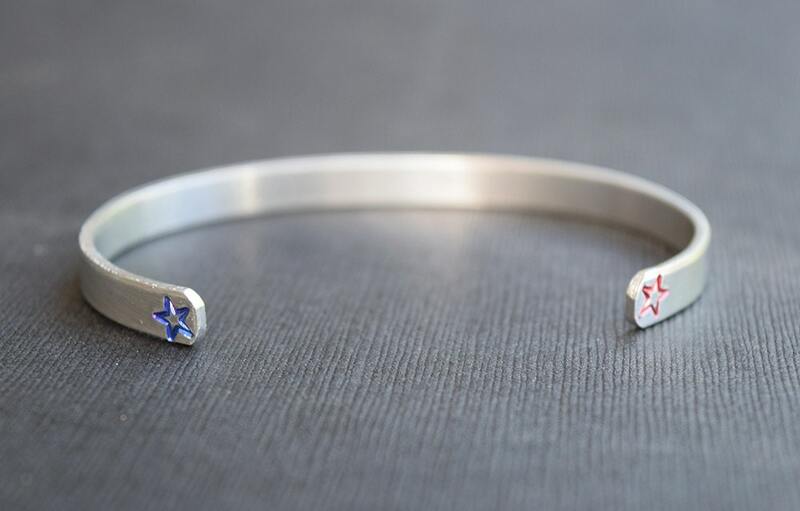 Two stars, a blue one for Cap and a red one for Bucky, adorn the ends of the cuff. The left star (left of text) is red to represent Bucky's left arm. 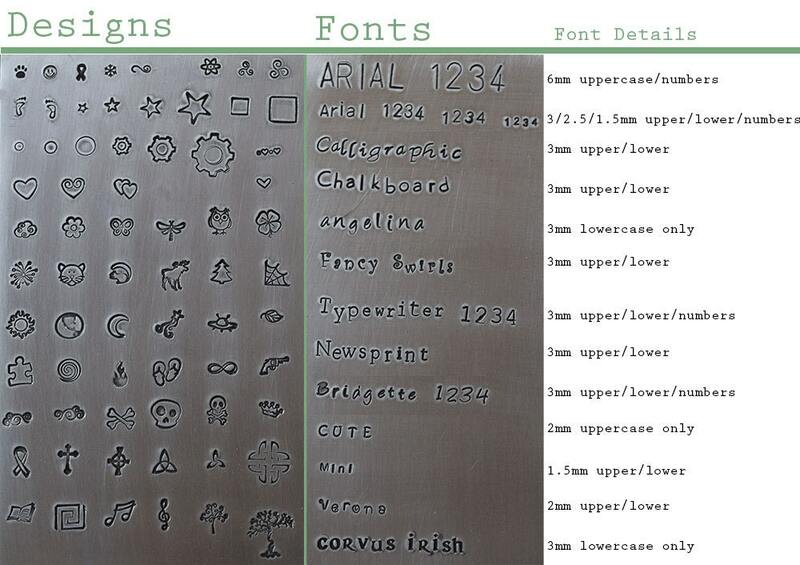 The default design stamp is the second to largest star. The bracelet fit perfectly and the delivery time was faster than I expected! absolutely perfect! ordered one for me and one for my best friend and i couldn’t be happier!